Caerphilly is located in the south of Wales. The seat was created in 1918 and has been held by Labour for all but 2 years since. The current member of parliament is Labour’s Wayne David who has served since 2001. 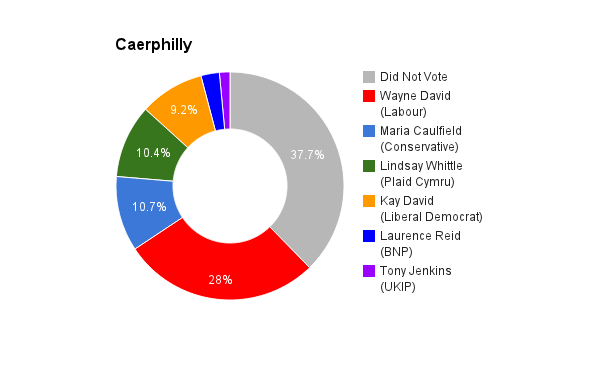 Caerphilly is geographically a vast constituency, and reaching all communities is a challenge for this reason. Many people are online, and as a fulltime working mum this is an ideal starting point for me to reach out to people, for them to understand who I am and what I stand for. I have a blog full of both personal and political articles and poetry, I use social media effectively and then there is informative websites like this. However, online communication is no substitute for face to face dialect, to empathise and reach out to those you wish to represent. So the solution is to take a broad approach to reaching people, which includes engaging in public events, engagement through the local media, meeting people on the street and on the doorstep, and of course making sure those who are online have access to as much information as possible. But ‘remaining in touch’ means more than simply communication. It means understanding the issues that are of most concern to the people of Caerphilly. I also plan to open some surgeries in some of the most deprived areas, offering the many skills I have from being a grassroot worker and bedroom tax campaigner such as appealing bedroom tax decisions and benefit sanctions. 2. I am not a career politician and to be perfectly honest I never foreseen myself standing for an election. I actually was encouraged by my local party as they see me as someone driven by a passion to fight against the injustices in our society. Additionally, due to both my personal and professional background, I am community focused and am someone who can relate to both young people and reach out to the most disadvantaged in our society. I am a strong minded individual and will have no problem challenging harmful decisions made for the people of Caerphilly and society as a whole. 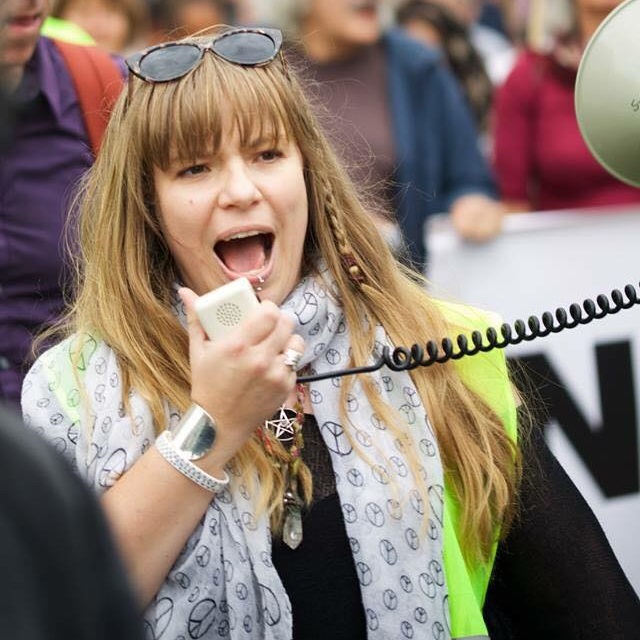 One of the things I love about the Green Party is we do not have a whip therefore I will not be under any pressure to vote against my will, against my constituents. I will do what I can to defend Caerphilly, and to push for the all-important change needed to put the area onto the road to prosperity, 18 years of a Labour run Welsh Assembly has done nothing to lift our communities which has the most deprived ward in Wales, out of poverty. The time has come to fight for a stronger and more sustainable Caerphilly – sustainable local businesses, sustainable local jobs, and sustainable environment for all. I feel he has lost touch with the people he represents, however that can be said regarding the Labour Party as a whole. Wayne David has followed the party whip for the last 5 years and more than often voted harmful Tory party policy through, such as the benefit cap, how does that best serves his constituents in an area of vast unemployment? I am a previous Labour supporter myself and am horrified at what they have become. No, austerity certainly isn’t working; it is Tory (and Torylite) ideology for a small state not a solution. It is causing vast and unstable employment, stretched public services, which are already under pressure under the growing social problems caused by austerity. The deficit is still rising despite what we are being told. Why on earth are we paying for the crimes of our banking industries, greedy parasitic corporations and expenses scrounging politicians? Our taxes, our public money should be spent on public services for the common good of society, nothing else. It really infuriates me that the people who are meant to represent us, work for us, believe it is morally right for individuals and companies to profit from our hard earned cash; it is corruption to the core. We have stored and are continuing to store up future problems that will cost far more to address than any money saved (if this was happening)through the austerity programme. If we want an illustration of how austerity (and the Conservative/LibDem coalition) is failing the UK we need only to consider that food banks are now increasingly commonplace, in the 6th richest country in the world this is a disgrace! Immigration remains a subject about which people are very passionate. However, a lot of scaremongering and a culture of ‘blame everything on immigration’ clouds the reality that immigrants from the 10 countries that joined the EU in 2004 have added nearly £5bn more in taxes than they take out in public services (according to research by the University College London). Immigrants who arrived since 2000 are 43% less likely to receive state benefits or tax credits, and 7% less likely to live in social housing. But of course we DO need to keep the debate about immigration going; however, it needs to be conducted from a position of pragmatism and not from inaccurate scaremongering, aimed at diverting the blame from the parasites at the top of our social structure, the elite and the 1%. I want to speak to people about their real life experiences of immigration and not from the fervour, stereotyping and misinformation whipped up by the rightwing press. The solution is for the UK to become far more self-sufficient, we have become far too reliant on imports, including energy and food. But if we were to become more self-sufficient we would not only become better protected against global price rises, but we would export more and generate more revenue in to the country. Also there are far too many people on low wages, relying on benefits to top up their income. A combination of raising the minimum wage to £10 an hour as set out in our manifesto and nationalising services; therefore many industries would be less profit focused and wages would naturally rise. This policy of nationalising services such as transport and energy would bring the cost of accessing these services down, taking away added financial pressures and allowing the individual to spend on other business, smaller businesses. Much of our personal cash is trapped into spending on large corporation that often syphon their profit out of the UK. Let’s see more taxation for the large corporations, close those legal loopholes and less tax for the small business that are more likely to invest their profits not just within the UK, but within their local area. The standards of the NHS have been slowly stripped away for the last 30 years of Thatcherism. For the neoliberal dream of privatising the NHS to be realised, public faith and romantic vision of the NHS had to chipped away. We need to return to back to basics; we need to go further than Labours promise of repealing the Health and Social Care Reform Act of 2012. We need to the implement the NHS reinstatement act, which I have already pledged my support and Caroline Lucas has been pushing forward in Parliament. It is possible to return to the golden days of the NHS, it needs the cold hand of commercialism to be pulled away from it’s the throat. We can depoliticise the NHS, fund it properly, and stop meddling, it could return to the service we all knew it to be, and should be. Also we need to look at the problems in our society that are adding to the strains of the NHS as Aneurin Bevan did with his council house building programme. We need to look at diet, exercise, address drug addiction as a health issue and not a criminal issue. Why have we got more regulations in place for dog food than we have for food marketed for children? Health is an issue that needs a holistic joint up approach. We have had the manufacturing industries torn apart in the UK, causing communities of vast unemployment and we have created an underclass in our society. We have a generation of young people pumped full of consumerism and reality (unreality) TV. They feel like they are trapped in a goldfish bowl looking out at other people ‘experiencing’ life, having things they feel they can never have, this is heart-breaking. On top of that the core service, Youth Services, often the only helping hand and guidance out of this trap; are being torn apart and in some areas in England being wiped out. In Wales Youth Services have been sheltered a little from the savage attacks we have seen over the border. However, without its funding being ring-fenced and continued austerity measures, councils are being left no alternative but to reduce this service down, eventually they will be wiped out here too. Grant funding is propping up many youth projects, but short term ‘pop-up’ plans are no substitute for invested long-term provision young people can rely upon. We need to invest in these services with a sustainable vision, make them become the fabric of our communities. Create apprenticeships in this profession, often young people who have their life turned around by a youth worker, want and are best placed to become the future youth workers. Most of all make Youth Services a statutory service; the future functional health of our society is dependent upon it. Investing in community owned renewables would see a growth in local jobs and apprenticeships to invest in skills in this vital growing trade. We need more locally owned local businesses that offer decent employment, interesting work, and genuine career prospects, and crucially where young people feel valued and important to the business. The profits would be invested back into the community to continue develop the local area. The Citizen’s Income for all will make it an easier transition from the benefit trap to employment. When I was a single mother living on benefits, to spend less time with my son for us to plunge further into poverty by going back to work and earning less than my total benefits, would have been really difficult, therefore I can empathise with families who feel trapped on benefits. Luckily for me, we didn’t have the horrendous sanctioning scheme back then. Therefore I was able to build my confidence and experience by volunteering and eventually went back to university. When I returned to work, when my son started school, it was for a decent wage and a job I loved that developed me as a person, making me a positive role model for my son. People need the freedom and support from benefits into employment, not the bullying tactics of the ‘Condem(n)’ government, that has proved to be true to its name. Does society relate to the politicians we have in Westminster? Obviously not, you only have to look at voter turnout in the UK. We need all sorts of weird and wonderful people to inspire people back into engaging in our political system, instead of the drab business as usual politician we have at the presence. To create a political system that works for all we need a diverse body experience and talent. We need a diverse broad section of society to represent all, oh and aren’t we screaming out for more women in Parliament. The passionate and common sense politics displayed in the Leaders debate by the women really show we really have a major part to play in shaking up the system. The British political system needs a fundamental overhaul and it is no longer fit-for-purpose in the 21st Century. First-past-the-post is unrepresentative and people feel their vote does not really count. The voting age needs to be lowered to 16 because ultimately, young people have most to lose, they need to be engaged and are amazing when they are. These are just two of the reasons we see a lack of diversity in Parliament. But with a fundamental overhaul we would see a natural evolution towards a more representative system, where more people consider rolling up their sleeves and getting involved. I believe strongly in staying in the EU, but that doesn’t mean that I don’t recognise its faults. If we were to have a referendum, which the Green Party supports. We need to give people an INFORMED choice. Then maybe we can renegotiate our terms and conditions with the EU, but as a whole I believe it would be a devastating to Wales and the UK if we left. We all recognise its value as the main market for our industries. Leaving the EU would decimate our industries and lead to countless industry closures and job losses – for example, why would a major American employer that has a European operation based in the UK, remain in the UK if the UK left the EU and they suddenly have to deal with the red-tape of genuine ‘export’? They would simply relocate into Europe and we would become merely a small island market that is less important. We need to stay in the EU for this reason, but we need to use our influence and strength to keep reforming the EU for the better. I already meet regularly with the people of Caerphilly, I engage very actively with many through social media. I plan to hold more frequent surgeries with the people of Caerphilly and also open a UKIP office in Caerphilly this year. This office will hold regular forums with different groups within the community to listen to their ideas and the issues, which matter to them. Caerphilly has been my home for over 5 years – all of my married life, I have a number of businesses which I have based here in Caerphilly, I have worked from the bottom up and want now to improve the lives of others. I have seen first hand the closure of our Caerphilly A&E and the impact it has had on our ambulance response times which are now amongst the worst in Wales. I am also the only candidate which belongs to a party offering the people a referendum on the EU. He has successfully disillusioned himself with his core Labour support and made himself unpopular amongst the electorate. I find it bizarre that we are making such cuts to front line services using the excuse of austerity while the amount of money we are giving to the EU and to other foreign nations is evermore increasing. Yes savings need to be made and the government needs to balance the books, yet if the EU asks for more money we get into more debt and hand it over. We are borrowing billions to spend on diplomatic bribery (also known as foreign aid) this budget has been increased significantly by the current government. UKIP want to ensure this budget is cut by £9billion allowing there to be sufficient funds which are to be directed for international disasters and humanitarian aid not cash lump sums donations. For too many there is simply never enough money, UKIP will increase the tax-free personal allowance to the level of full time minimum wage earnings (approx. £13,500 by next election), this will increase the amount of money families have in real terms rather than enforcing further wage increases which will lead to further cost of living rises. EU restrictions on trade with other non-EU nations have also contributed to rising food prices. The EU controls everything – even the shape and type of bananas that can be imported, there is no wonder why food prices are increasing so much when we are forced to trade from within. UKIP will ensure the UK would reoccupy the UK’s vacant seat at the World Trade Organisation, ensuring that we continue to enjoy ‘most favoured nation’ status in trade with the EU and the rest of the world as is required under WTO rules. Why are such a large proportion of our energy bills now “green taxes” which are used to subsidise large profitable corporations to build wind farms in our countryside? Is this not taking money from the poor and cold to fund the corporations? Why has our government recently signed a contract with French Government owned EDF to guarantee a price paid for energy at the new Hinckley Point C nuclear power plant in Somerset at nearly double the current wholesale rate? 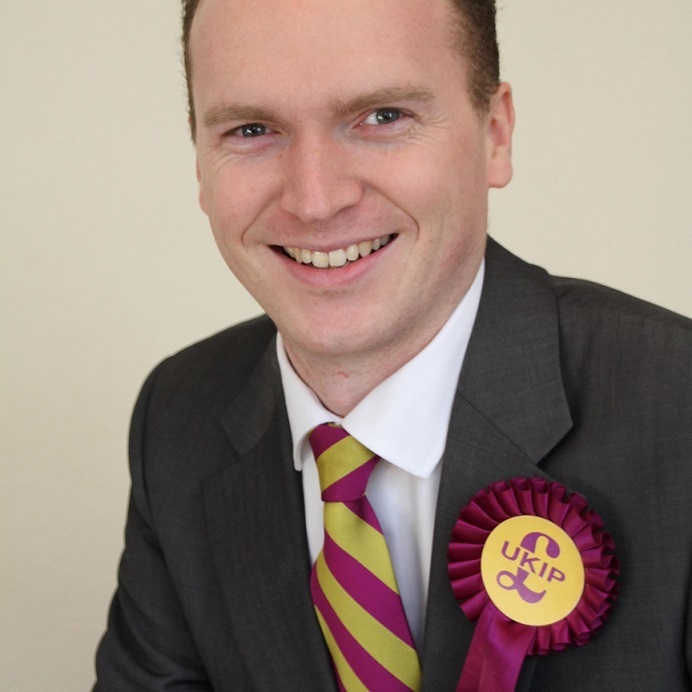 UKIP will abolish green taxes and charges in order to reduce fuel bills. UKIP will ensure that GP surgeries will be open at least one evening per week where there is demand for it. We will also stop further use of PFI (Private Finance Initiatives) in the NHS and encourage local authorities to buy out of their PFI contracts early. PFI’s were introduced by the former Labour government to fund a £50billion private capital investment into the NHS, it will now cost the NHS nearly £300billion to pay back. UKIP will introduce an option for students to take an Apprenticeship Qualification instead of four non-core GCSE’s which can be continued at A-Level. Students can take up apprenticeships in jobs with certified professionals qualified to grade the progress of the student. Subject to academic performance UKIP will remove tuition fees for students taking approved degrees in Science, Technology, Engineering, Medicine and Maths on the condition that they live, work and pay tax in the UK for five years after the completion of their degrees. If a Member of Parliament truly represents the people should it matter? UKIP has candidates from more ethnic backgrounds than some parties, it has candidates who are from Greek, Polish, Caribbean and African families, it has more Women MEPs than any other political party, they were all selected on merit and not by diversity quotas.